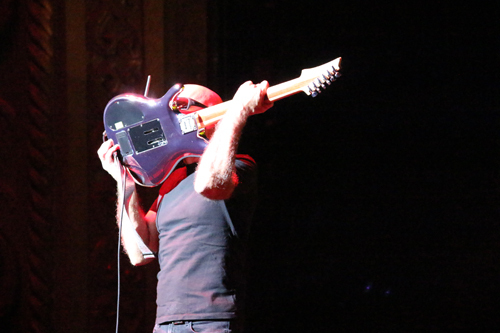 As I sit admiring the historic State Theatre in Sydney with a fair crowd in the 2,000 seat capacity venue, Satriani with his mellow demeanour presents on stage. He reminisces about his first Australian tour 30 years previously with none other than Mick Jagger back in 1988 with a number of tours here since, the last being 2014. 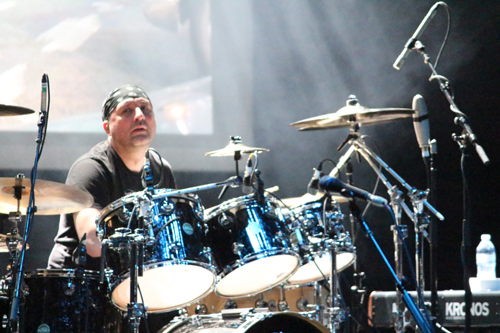 For this tour, joining Satriani on stage were Mike Keneally - guitar/keyboard, Bryan Beller - bass guitar and Joe Travers - drums. This is an amalgamated band of musicians who are adept in the euphonics of playing off each other. Visual backdrops of animations and live concert footage for effects were also part of the show. 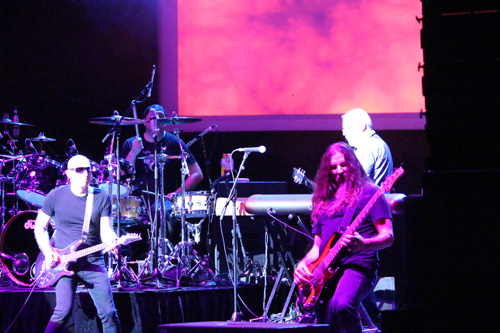 The first act had hellish riffs and solos along with groovy interplay jams with Satriani and Keneally. Truly awe inspiring. The amazing "Satch Boogie" has legitimately earned its reputation as one of the guitar world’s top solos. And "Playing In A Blue Dream", which is the title track off Satriani’s third studio album and a favourite at every concert, is transporting us into another space and time. Act Two returns after a 15 minute intermission with the much covered "Sleep Walk", originally a Santo & Johnny 1959 Billboard hit instrumental, with its slumbering retro vibe expertly displayed. Then came the laid back blues sound of "Cool #9" and kicking it into overdrive with "Head Rush". 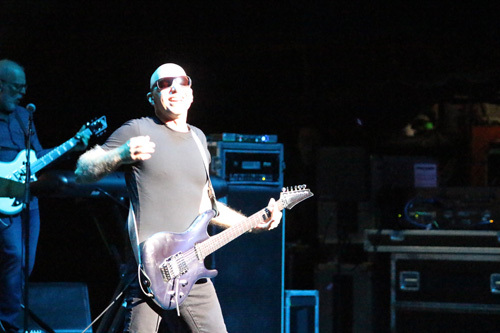 There’s no doubt that Satriani is the star of the show, yet there is no ego here. The final song, "Surfing With The Alien", was really out of this world. A masterpiece of nimble fingered prowess with it’s soprano riffs and adventurous melodies. 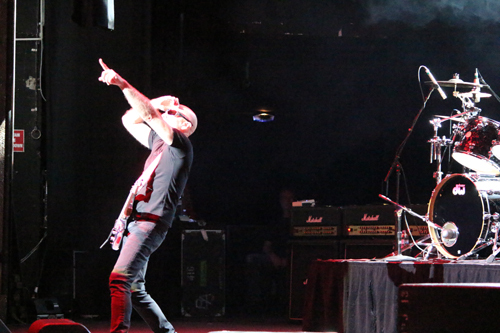 Satriani is a next level guitarist. He does at times perform some vocals at his concerts but this was an instrumental concert & vocals are definitely not missed with this quality of playing. "Playing In A Blue Dream"